It’s a problem that shouldn’t be a problem, but many of us struggle with it – having too much stuff. The fact that you’re reading this means you’re probably looking into disposing of some junk, and in doing so, you may have realised how much unnecessary items there are in your home. If you’re a hoarder, or you’re trying to clean up a hoarder’s home, that’s a whole other story, but for the everyday Sydney resident with too many things, we’ve put together a few tips to try and simplify your life. Hang all your clothes up back to front. When you’ve used an item, put it back in the right way around. After 3 months (or whatever time period you decide) an item is still facing the wrong way, send it to the op shop! Set yourself a challenge – you can set the goal yourself, but some people have aimed to discard one item of clothing every day (they must have had a lot of clothes!). Make sure the goal is reasonable, otherwise you’ll pull out before you’ve managed to do much wardrobe decluttering. Fill a garbage bag for charity. Set yourself a goal of filling a bag of clothes to give away, the size of the bag based on how many clothes you have. Doing this will force you to think about which clothing items are most important to you, and which items you can live without. Similar to the clothing challenge, aim to discard of one item every day. This obviously doesn’t include milk cartons and general garbage, it is for items that you’re holding on to that are creating clutter. Give yourself 5 minutes every day for decluttering. It may include putting things aside to throw away, but it may just be putting things in their spot. It’s not uncommon for items to be left in a prominent, ‘in the way’, location despite them being used only occasionally. Hopefully you have some organised cupboard space to put belongings that are taking up useful space. If you can’t manage to set aside 5 minutes every day, schedule a time, such as a weekend, to have a big cleanup. If there is a particular room or storage space that is excessively cluttered, get yourself some large boxes. Try to split these belongings evenly between items to throw away, items to donate to charity, and items to keep. Simply discard of the junk items and take the charity box down to your closest op shop. Invest in a good filing system. If you don’t have one already, buy yourself a quality filing cabinet that you can store papers and other small items for easy finding. To do things right, it’s not only an investment of money, but a large investment of time to get things right from the start. Once you get in the habit of storing things properly, your office space will look so much tidier! Take a box, and put everything from a shelf into it. Work out an organised system, and only place items back on the shelf that you know will get used. If unsure, leave in the box, and if after 3 months the items haven’t been taken out, throw them away! Set a place for new items. Whether it’s a newspaper, mail, or any other new items, set a single place for them to go. If you don’t, they’ll get placed in all areas around the room and it will start to look cluttered again! Hopefully some of the above ideas will inspire you to have a clean-up. 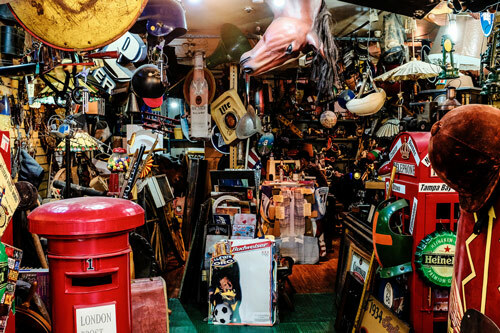 As the saying goes, ‘One man’s trash is another man’s treasure’, ideally most of your items will be able to find new homes if you take them to a charity store. If you’ve decluttered and you’ve found yourself with a bunch of junk that clearly no one is going to want, Same-Day Rubbish Removal is here to help. 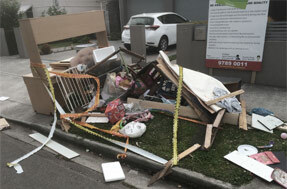 We specialise in removing large amounts of waste from Sydney homes and businesses. Our team have been serving homes right across Sydney for over 10 years, there’s almost nothing that our team haven’t seen. In this time we’ve worked out the most efficient ways of collecting and disposing of junk. This means we’re able to provide super-fast and affordable rubbish removal - if you’re ready for your junk to go, we can take it away today! Clutter can be a problem for anyone, even the largest of homes can fill up with unneeded stuff. 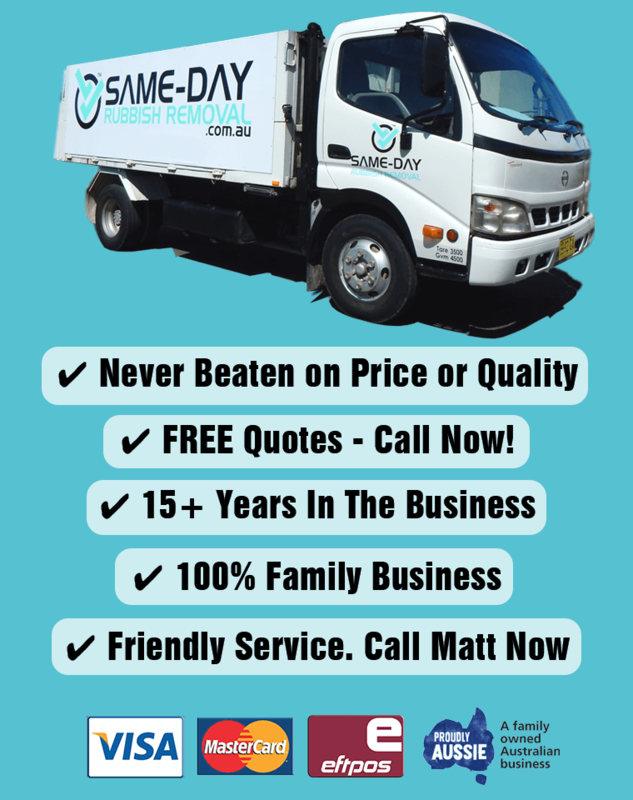 Our many years of experience has taken us to all suburbs from the Sutherland Shire up to the Northern Beaches, helping clean up clutter. Our team care about our environment, and it is our aim to send as little junk as possible to landfill. Fortunately there are many great recycling centres across Sydney, and whenever possible, we’ll take your junk to one of these places. Whether responsible disposal is of concern to you or not, the simplicity of our service is what you’ll love the most. Rubbish removal couldn’t be any easier. You just point out what needs to go and we take it away! 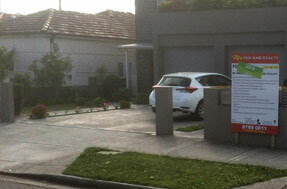 Call our friendly team today on 0402 737 046.